This is Halloween, this is Halloween! And while to most of us, it’s not exactly the nightmare before Christmas, we can sure help make your holiday a dream at Aspen Landing Shopping Centre. Decorations? We got them. Candy? Got that too. Everything else Halloween? You bet we got it! So, stop on by to these landmark stores and find exactly what you need for your spooky trick, or sweet treat! If you’d like to get your kids all dressed up in their costumes and make your own decorations, Color Me Mine has you covered. They love holidays like this and they encourage everyone to dress up and have a ‘spooktastic’ time while making all sort of Halloween-themed pieces. A skeleton mug, a clay jack-o-lantern, or a dining set for the month; you can make all of that and whatever else your imagination can mold! If there’s one store in Aspen Landing Shopping Centre that you know really enjoys holidays and occasions, it’s Occasions Cards and Gifts. If you’re trying to get into the giving spirit a couple of months early, you can stop by the exclusive shop for cards, wrapping paper, gift bags, or the gifts themselves! With shelves filled to the brim of seasonal and holiday-specific items, you’ll have a ghoulishly good time at Occasions! And of course, your last stop shop of Halloween ‘horrors’! 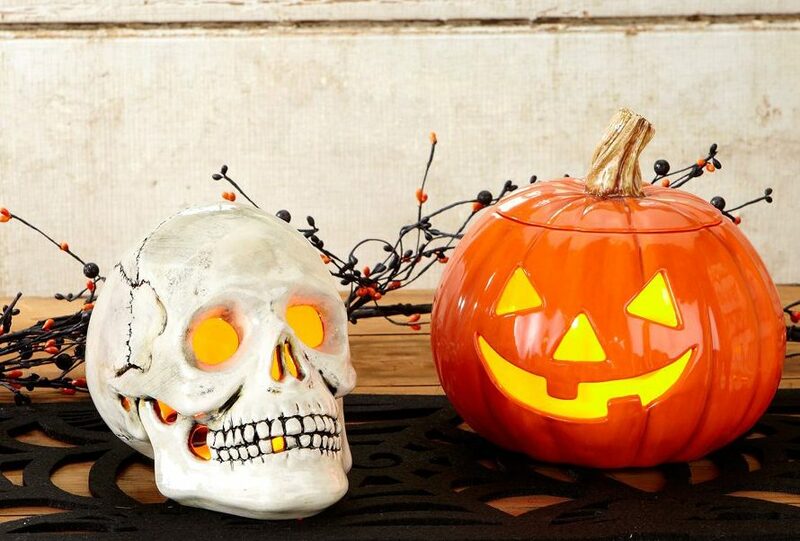 By that, we of course mean the amazingly frightening house decorations and last-minute candy you can get at a fantastically low price at Shoppers Drug Mart. Aside from being an everyday grocer and pharmacy, Shoppers has all your seasonal needs including outdoor and indoor decorations or full- and fun-sized chocolate bars to hand out in the evening!